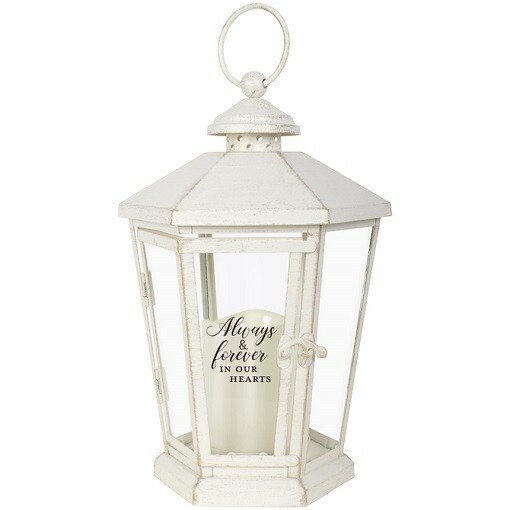 Always & Forever Lantern | Aebersold Florist - Dial 812-945-2544 :: Lanterns - An elegant keepsake, expertly crafted. 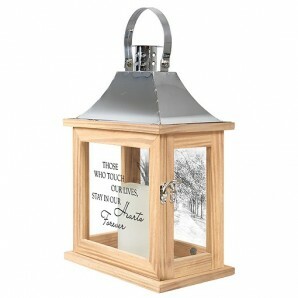 This elegant lantern with LED candle is made of metal with an antique finish. Perfect to be displayed by hang it up or siting on a table. Add beautiful fresh flowers, silk or plants to accent this lovely gift. Measurements: W: 8" H: 13.5" D: 8"